Seizures caused by high fevers in children are not considered epilepsy. Also see children's seizures. Almost any type of behavior that happens repetitively may represent a seizure. Often people will be confused briefly after a generalized seizure. The first task facing the doctor is to decide if the event was a seizure or some other condition, such as fainting, that may mimic a seizure. The doctor will take a history about the facts that surrounded the event. Any eyewitness accounts will be very helpful. Family history, social history, and past medical history are important as well. Bring any medicine containers, including prescription drugs, to the hospital to help the doctor make the diagnosis. A neurological examination will be performed. This may include some tests not usually performed in other physical examinations, such as strength and reflex testing. Depending on the history and physical examination, laboratory work may be ordered. This might include blood or urine testing. Special testing such as MRI, CT scans, or EEG (brain wave patterns) may be performed. Home care with epilepsy varies with the frequency and type of seizures. It is important to take anticonvulsant medication regularly to prevent seizures. When a seizure occurs, an observer can use common sense to prevent injuries. Turn the person on his or her side. Do not hold the person down or restrain the person. Do not place anything in the mouth or try to pry the teeth apart. The person is not in danger of swallowing his or her tongue. Observe seizure characteristics-length, type of movements, direction of head or eye turning. These characteristics may help the doctor diagnose the type of seizure. Depending on the seizure type, different treatments may be prescribed. This will often include anticonvulsant medication that prevents or stops seizures. The type of anticonvulsant medication selected by your doctor will depend on factors such as seizure type, cost, and other medical conditions. Anticonvulsant medications may need frequent adjustments, especially after starting medications. Monitoring of anticonvulsant medications and other laboratory tests may be necessary. Follow-up varies tremendously depending on an identified cause of seizures and the frequency of seizures. For people with infrequent seizures who are on constant medications, follow-up visits once or twice a year may be adequate. If the seizures are difficult to control or if new medications are being used, weekly visits are not unusual. If the seizures are related to another medical condition, identification and treatment of that medical condition is the key to prevention. If anticonvulsant medication is prescribed, taking the medication on the recommended schedule and not missing medication is important. Some people with epilepsy are quite sensitive to alcohol. If this pattern develops, avoid alcohol. Others may have seizures only after ceasing heavy alcohol intake. The key to prevention is avoidance of alcohol. Sleep deprivation and stress certainly may increase the frequency of seizures in some people with epilepsy. Epilepsy simply describes the condition of recurrent seizures. The outcome of the seizure disorder is strongly related to the cause of the seizures, if a cause is discovered. For people with symptomatic epilepsy-that is, seizures that occur because other medical conditions exist -prognosis will depend on the other medical condition. Seizures resulting from low blood sugars, for example, could be prevented by careful management and avoidance of hypoglycemia (low blood sugar). Seizures related to progressive medical conditions such as some brain tumors or metabolic conditions may be difficult to control and may have a poor outcome. There are several conditions that mimic epilepsy. These have similar symptoms to seizures, including loss of consciousness. Sometimes seizures may be caused by high fevers. Other times, fainting or "syncope," may be mistaken for a seizure. "Overview of the management of epilepsy in adults"
Please describe effective treatments with epilepsy (seizure disorder). 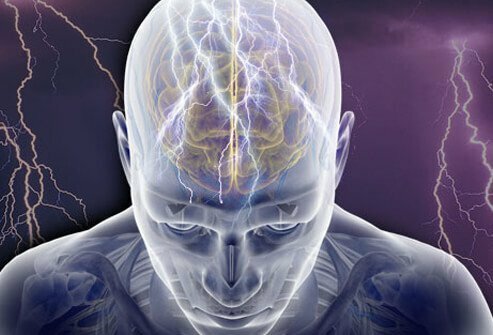 What are your epilepsy symptoms and signs?